Hey there – my name is Bryan Sekine. I’m a 27 year old, half-Japanese sushi chef and my passion is teaching others. Growing up, I had a very artistic family. My mother was a kindergarten teacher and part time artist and my father was a famous advertisement artist (he did amazing airbrush artwork). From an early age, I placed a lot of importance on art and teaching. But as I grew up, I realized that being an artist was stressful and inconsistent. My parents encouraged me to pursue any career except art, because they didn’t want me to live a stressful life. So I went to college to study in the IT field. While I had a few scholarships, I decided that I didn’t want to live in the dorms and needed a job to pay my rent. I got started in sushi back in 2008. I walked into a local sushi bar (who wasn’t even advertising that they were hiring sushi chefs) and asked if they needed a chef. 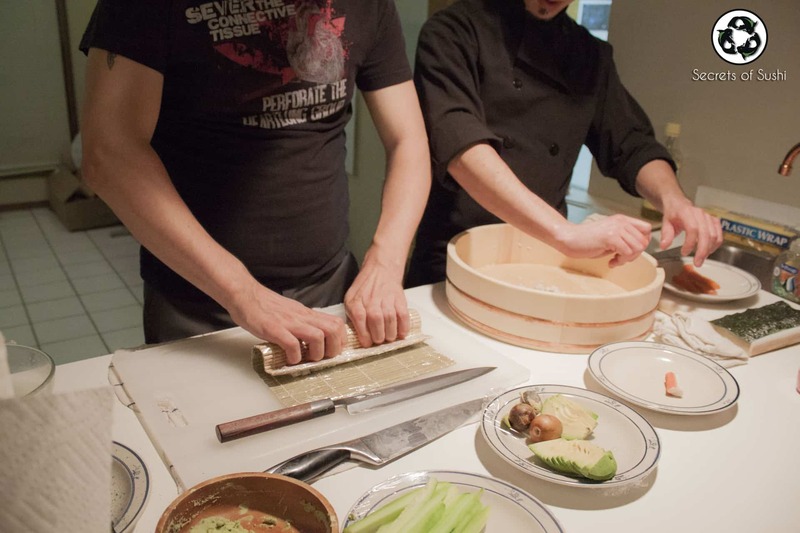 While I didn’t have any prior professional experience, I was familiar with the rolling process and Japanese terms from my childhood – my family and I used to occasionally make sushi at home. As chance would have it, they hired me! I worked for 3 months in the back kitchen, washing dishes and making rice, before I was allowed to handle the fish. I worked long hours and made a ton of mistakes early on, but after about 6 months I was finally rolling sushi for customers on a Friday night (usually the busiest night of a restaurant). After working behind the sushi bar for over a year, I started to make friends with regular customers. They asked if I would be willing to help them throw a private sushi party, and I obliged! It wasn’t long before I was rolling for my friends, regular customers, and even a few catering events through the sushi restaurant. Then, in 2011, after working at two different restaurants and deciding to expand my knowledge of sushi even further, I started doing some online research and stumbled upon the term “sustainable sushi.” At this point in my life I was starting to realize how much of a negative impact our populations are having on the environment, but for some reason I hadn’t considered the state of our oceans. After doing some surface-level research on what the sushi industry was doing, I became obsessed. I started researching different types of fishing vessels and various fishing methods, population counts of the most popular species of seafood found in sushi, and which countries produce the largest amounts of seafood. The more I researched, the more horrified I became. I was unknowingly contributing to an industry that was killing our oceans in ways only paralleled by the oil industry. I felt awful. I thought what I was doing was horribly wrong. I thought about giving up… and for a while I did. I quit working at sushi restaurants and decided to put my IT degree to use. I got a 9-5 job working for a software development company in Oklahoma City. But after a year and a half, I was completely miserable. I realized that I left something that I was truly passionate about. I needed to get back into the sushi industry, but I couldn’t shake the gilt of the industry’s secrets. I decided that I would try to make a difference, instead. A few close friends of mine convinced me that I had a unique talent for teaching people how to roll sushi and that I could use that talent to create my own business. I decided to create Secrets of Sushi. I kept searching for sustainable sushi, but couldn’t find more than half-a-dozen people that where talking about it. There were a few sushi bars that were already making the switch to more sustainable options, but I didn’t feel like that was enough. I wanted to incorporate sustainability into my own website and business. People weren’t interested in sustainability because it cost them more money and limited their options. I thought that teaching them how to make sushi, while convincing them to make better choices on what seafood they bought, would be a better way to get this message out. For a few years, I researched and wrote articles on sushi – everything from how to roll sushi to various sauce recipes. But in 2014, I decided that writing articles wasn’t enough – I needed to teach people in a different way. So I started offering live training events because I was too afraid to get in front of a camera and record myself. During the live training events, I would throw in the sustainable sushi facts and people seemed interested. So I started to talk to my friends and family about sustainable seafood, and they seemed interested, but only when I spoke to them about it. I couldn’t get a single person I spoke with to read my article on sustainable sushi – which is why I decided to work on my fear of being on camera. And that brings us to 2015, when I recorded and published my first YouTube video. While I haven’t published a ton of videos (because, as it turns out, overcoming being camera shy is fairly difficult), recording and editing more videos is my now my focus. I would love it if you would show your support by signing up for my email list. 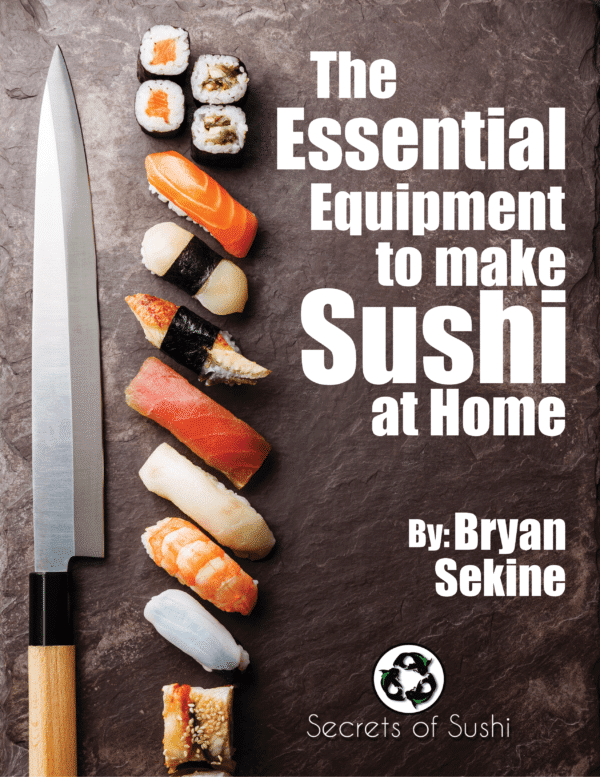 In addition to getting weekly emails about professional sushi tips, sustainable sushi facts, and other information about rolling sushi at home, you will also get my free guide on The Essential Equipment to Make Sushi at Home. I appreciate you taking the time to read this and I look forward to helping you roll sushi at home, very soon!